Dynamo International – Street Workers Network | Dady Isidore’s testimony as an Haitian street worker and Dynamo International Street Workers Network have been presented at the United Nations (UN) ! The 57th session of the UN’s Commission for Social Development was held from February 11th to February 21st 2019, in New York. On Wednesday 13th, in parallels to the main official meetings, a conference on cities’ best innovative practices to help the most vulnerable has been organized and gathered participants from various countries. 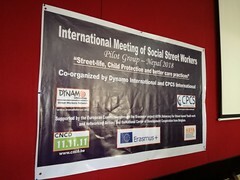 Switzerland, one of the initiators of this conference, used this opportunity to launch a reflection on social street work, with the support of Dynamo International. Dynamo International Street Workers Network (DISWN) has been approached by the Swiss Federal Office of Social Insurance, at the earliest stages of the conference’s preparation. The Federal Office wanted to raise awareness on social street work with a special focus on Haiti. First, the meeting introduced DIWSN and its action across the world through the presentation video recorded in 2012, which can be found here. Then, the testimony of Dady Isidore, an Haitian social street worker from Jacmel (located 90km at the South of Port-Au-Prince, Haiti), has been shown to the audience. 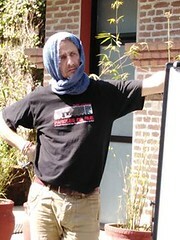 The vocal interview, completed by photographs taken by Véronique Vercheval, highlighted the existence of many profiles within the children in street situation on the island, but also the fact that the majority of local social street workers actually have an unpaid-volunteers status. Positive feedbacks have been expressed after the conference. Participants where curious about the reasons why Haitian social street workers choose this type of involvment, meanwhile an African guest questionned the parents’ role in this context. Moreover, participants from “developping countries” were highly sensitive to Dady’s testimony and related it to their own realities, in Africa, in particular. Many thanks to the Swiss Federal Office of Social Insurance for thinking about Dynamo International when organizing this event and also a warm thank you to Dady, for his precious testimony.